Chipotles are actually fully ripened and then smoked dried jalapenos. These chile peppers have a bit of a kick to them and are considered a medium hot chile coming in at 5,000 - 10,000 SHU. 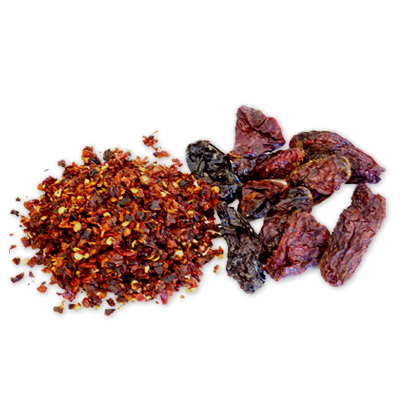 Use our Chipotle Flakes anywhere you would normally used crushed red pepper flakes %u2013 on pizza, in salads, soups, stews and anywhere you want some authentic Mexican flavor.